Home>Blog>Personal Finance>How Much Should I Save For Retirement? Most of us will have to face retirement one day. This being said, it is a must that we begin saving for retirement and the best time to start is now. Many people struggle to save money. 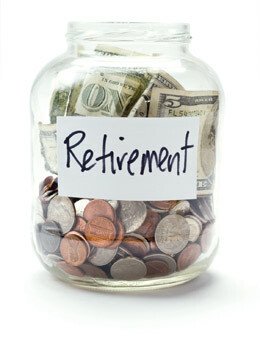 Most Americans find that saving for retirement is one of the hardest things to accomplish. With present needs taking more of your attention, it’s no wonder why saving for 30 or 40 years down the road can get pushed aside. If you want to know whether you are saving enough money for retirement or not, you can refer to a retirement calculator to do the math. Old age is sometimes accompanied by diseases and the inability to earn a decent living. You have to be prepared to face these circumstances and by saving the appropriate amount, you have a chance to live your golden years with a smile on your face and a happy heart. The best thing that you can do is to create a mental picture of yourself and what you would want to do after you stop working. This will help you make a conservative projection of how much money you need to save in order to sustain the lifestyle you want. The amount you need to save for retirement should be based on several factors including what you want your lifestyle to look like, the monthly expenses associated with that, and the place where you want to retire/live. There is no standard amount that you have to save but it is important to set retirement savings goals before you reach your post-working age. A lot of people find themselves lagging behind in terms of savings when they are approaching the age of retirement. If you happen to be one of these people, there are certain actions that you can take in order to get back on track. If you truly want to maintain your lifestyle even long after you retire, you need to start putting more money into your retirement fund. This means cutting back on expenses in order to meet your target savings. Some people choose to work even if they are already past the age of retirement. This may be something that you do not want to do but you simply have to continue working because you have not saved enough. Supplementing your retirement savings by working part time can help. Retirement is supposed to be an exciting time in your life. But you need to be prepared for it. Instead of worrying about how much to save, it’s best to save as much as you can starting today.